Seattle, Washington is considered home to many teams on the SNHL circuit as many grew up on the shores of lake Washington hearing the roar of aircraft engines and seeing the spectacle of hydroplane racing since 1951. While Seattle is known for its aviation industry, there will be a completely different type of planing this weekend with a large field of 18+ unlimited hydroplanes expected for the Seafair Cup. One of the more notable races of the season, the 2 mile course is the shortest of the year yet will provide for some exciting deck to deck battles all weekend long with its short straightaways and tight turns. With Seattle being the start of the 2nd half of the season, we will see the championship picture more clearly and find out who's willing to put it all out on the line to build momentum entering the latter half of the inaugural season. The emerald city has a rich, historic love for hydroplane racing as it was the first major sport that had arrived in Seattle at the time and it continues to this day. All eyes will be on the best of the northwest out on the Ted Jones racecourse as the most talented drivers in the world will look to take home the Seafair Cup. Eddie Kanfoush and the Llumar Window Films had been dominant to say the least in the first half of the season, racking up 7 heat wins and 2 final victories in the first 3 races. A monumental start to the season, Kanfoush has all eyes looking upon him as the rest of the field will look to catch up to him in national high points in the 2nd half of the season. Seafair is a must-win event for many competitors as a lot are from the pacific northwest, providing an even tougher challenge for Fast Eddie who is looking for the Washington sweep as well as 3 in a row. With stout competition looking to secure a much needed home victory, Eddie knows that his boat has been extremely fast at every single race and that a win in Seattle would be real sublime at this point in the season. "I'm feeling good! The boat has been an absolute rocket ship these past two races. I just need to try my best and try not to make any mistakes. The competition has been fierce so far this year, and with Seattle being the home race for so many drivers and teams, I'm gonna need to work very hard if I want a third win. I feel like I might not make too many friends if I can sweep the Washington races, though." One of the hometown favorites has to be Nicholas Miller in the flighty Les Schwab Tires who has proven to be one of the most talented hydroplane drivers in any lane. Arguably the quickest accelerating boat in the fleet, Miller has shown the uncanny ability to balance the canard wing to perfection in nearly every race. Seattle will be a challenging course considering the short length of the course and how rough lake Washington can get at times, but expect the Les Schwab Tires to skip across the wakes at break-neck speeds. Looking to comeback from a under-performed Columbia Cup, Miller has his sights set on putting together a solid weekend to kick-start his 2nd half of the season on the right foot. "I'm really looking forward to this race. I know the U-9 can win races. I intend on driving my own race and doing whatever it takes to get the victory." One of the bigger surprises of the season thus far has been the consistency of Matt Johnson in the Albert Lee Appliance. After missing Guntersville, Johnson shot onto the scene with a blaze of glory by making the final through the consolation in his debut, and finished on the podium in 3rd at the Columbia Cup. Seemingly improving each heat he goes out in, Matt now finds himself 5th in points after only 2 races run in the season, an incredible feat to say the least. The Albert Lee Appliance team is on a freight train of momentum heading into Seattle as they sit in prime position at this point in the season. Looked upon as Go Fast Turn Left's favorable race, Matt has the utmost confidence that he can pull together a sensational weekend for the Albert Lee Team. "Winning in Seattle would be huge. Everyone wants to win at home and not only is Seattle the home of our sponsor, but it's the home of our team too. Besides just winning at home, it would also be a big step up in season points. I think we have definitely surprised a few people by sitting in the top 5 after only competing in 2 races and we're looking to continue that success. 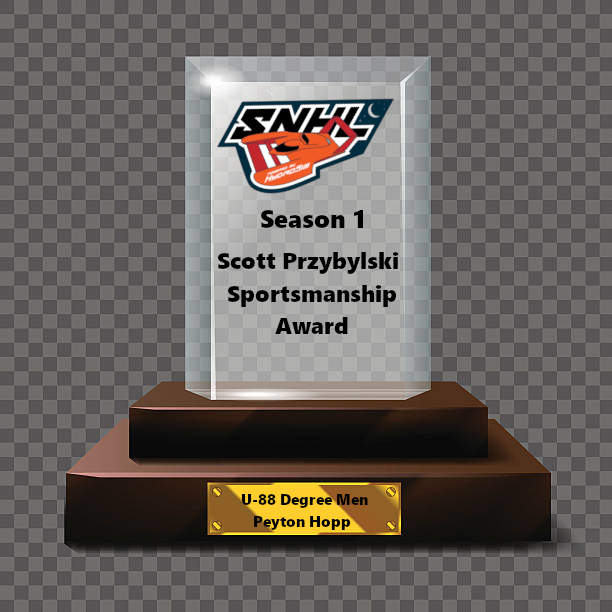 Seattle is going to be a tough race; now that we're halfway through the season, everyone has improved and has some good experience under their belts, and the rough water is going to be tough to deal with. As always, I'm excited to get out there and compete, and most importantly, to come back to the dock with points every race." Looking to make his return after an early, heartbreaking end to his Madison final is Kelsey Best in the U-96 Spirit of Qatar. After a perfect outing in the prelims in Madison, Best was one of the favorites to win the Madison Regatta final but alas he fell victim to a few incidents in the mill that led to a shaky start and an eventual blowover in the final. After missing Tri-Cities to repair the damages done to the hull, Best is looking forward to making an electric rebound in Seattle with a fast, newly rebuilt Spirit of Qatar. Currently on a 4 heat race victory streak, Best is bound to be quite the contender heading into the Seafair Cup. "The boat is all fixed and the team is excited heading into Seattle. From here on out we know the national high points championship is likely out of reach so we will be looking to get many heat wins and hopefully a race win to give the team confidence heading into next season. We will be looking to limit mistakes on the water but still push the boundaries as our team is aggressive by nature. We hope to gain more points than anyone else from here on out." You'll be sure to hear the roar of the crowd when you see the beautiful U-16 Oh Boy! Oberto driven by Codee Guyll exiting the Stan Sayres pits as a fan favorite. Backed by the infamous Art Oberto and Oberto beef jerky, the Ellstrom Racing entry has had a solid season so far coming off of a successful Tri-Cities race where he placed 6th in the final. Making only 2 appearances on the year at this point, Codee has showcased his talented abilities as a driver and has plenty of potential given he's only been to 2 races and has made both finals. As a driver, Codee is confident in his strategic abilities that helps him improve each and every time out. ""I'm confident in my strategy. I'm not really at the level yet where I'm battling for the big trophy at the end of the race, so I'm staying back and avoiding mistakes and trying to keep my boat on the water. So far, its paying off and I was even able to win my first ever heat that way. The important thing for me, as a new driver, is that I'm getting better every race and am becoming more of a threat each time I'm on the water." An old-time classic will be seen out in Lake Washington for the first time in a great while as Chris Porten will look to bring out the U-25 Miss Pay'n Pak to Seafair. After a pretty successful debut in Tri-Cities, Porten will look to gain some more experience with the hull and become more comfortable with what the boat can and can't handle. In his debut at the Columbia Cup, Porten was able to make the consolation after sticking to the outside lane all weekend, showing that staying out of harms way can benefit you in the long run. The Pak is back at Seafair and while it won't be fighting furiously for lanes, expect to see a confident and improving Chris Porten behind the wheel. "As of now, I don't have much experience with the Seattle course. However, I'm getting more confident in my abilities to control the boat so the race should go well for the Pay 'n' Pak. Like the Columbia Cup, I'll probably race from the outside and try to stay out of trouble." 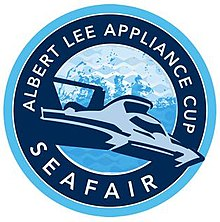 There's nothing like the Seafair summer tradition ending with the long awaited Seafair Cup fast approaching. Many of the Seattle based teams will be looking to push their equipment to the limit and find the winning formula to victory lane at Seafair. With race weekend almost here, there's an electric feeling in the atmosphere as the worlds fastest hydroplanes are set to make history in the SNHL as the most talented drivers on water battle deck to deck for greatness on the infamous waters of Lake Washington. Get ready for a jaw-dropping, adrenaline pumping thrill ride that will take your breath away at any given moment.